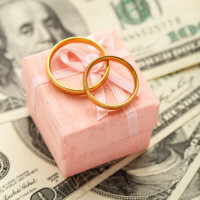 Ask anyone who has been through a divorce, and they can tell you: divorces don’t come cheap. Between the costs of filing for a divorce, paying spousal or child support, and the cost of setting up a new household, you can expect to rack up certain unavoidable costs. That said, there are certain behaviors that parties to a divorce engage in that can make the process even more costly to both spouses. Be on guard against these additional unnecessary expenses, and enlist your attorney’s help in keeping costs down throughout your divorce. Work on reaching an agreement with a soon-to-be-ex spouse on major issues like how you’ll divide custodial time with your children, or who will get to keep the house. This might sound impossible, but try to remember that going before the court with nothing about your property division or child custody arrangement yet decided means that these issues will all be decided by the judge. In other words, instead of working out these disagreements for free between you and your spouse, you’ll be paying attorneys’ fees to do so. Further, a judge may order a property allocation or parenting schedule that results in neither party being satisfied. Some couples may benefit from hiring an attorney to function informally as a mediator. The mediator will offer neutral, objective guidance to guide you and your spouse to a complete settlement. You may be reluctant to let go of the relationship that you’d thought would last a lifetime, or you may be stalling on concluding your divorce in an effort to try and reconcile with your spouse. Instead of looking back and throwing away funds trying to continue the life you had, think instead about building a brighter future, and focus on saving all expenses you can to build that future. When your spouse is flouting the rules of litigation, or failing to comply with past decisions of the court, it can be tempting to seek the judge’s help in ordering your spouse to act as he or she should. However, this strategy for obtaining compliance will take time and require a great expenditure of attorney’s fees for the time spent writing and arguing such motions. Rather than only speaking to your ex through the judge, make every attempt to work out differences informally before taking the fight back to court. If you are in need of legal assistance with mediation, divorce, separation or custody disputes in Illinois, contact the seasoned and compassionate Carol Stream family law attorneys at Johnson Westra, Broecker, Whittaker & Newitt, P.C. for a consultation on your case, at 630-665-9600.